The Lite plan offers basic features such as unlimited sending. 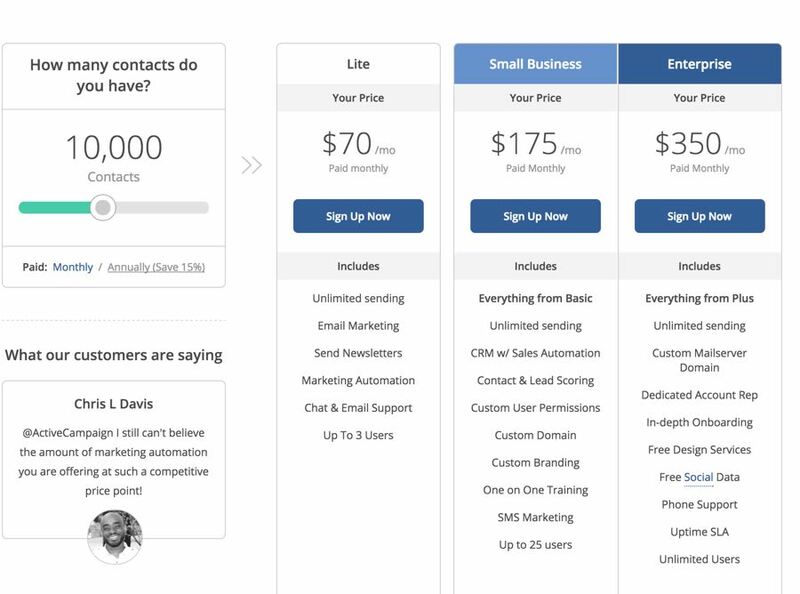 The small business plan adds extra features such as SMS marketing, lead scoring and more. The Enterprise plan offers additional features such as a custom mailserver domain and dedicated account rep. 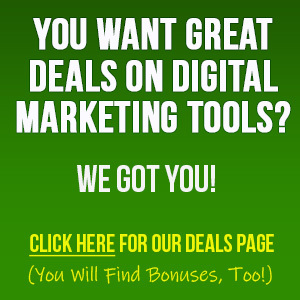 Active Campaign also offers a free trial for 14 days, with no credit card required. 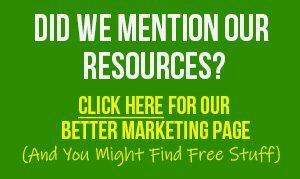 If you want to take advantage of the Active Campaign 14-day free trial just click the button below and you can find out if this autoresponder service is right for you. 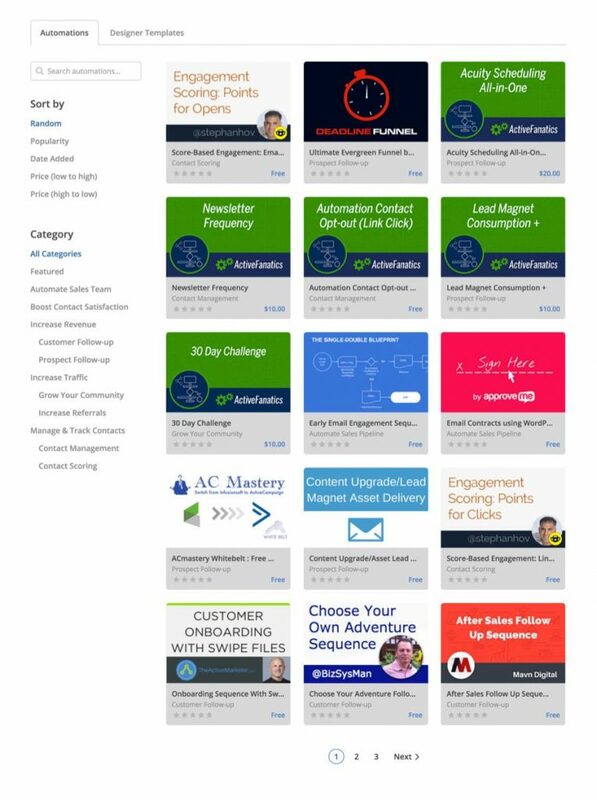 Active Campaign offers a variety of responsive (mobile friendly) and easily customizable templates you can use to create your newsletter. 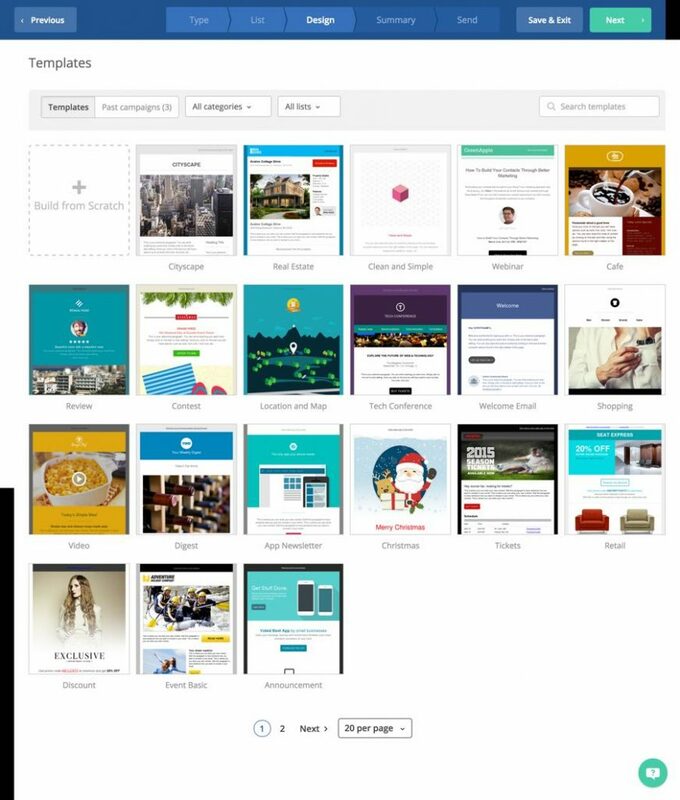 You can search or browse through their template library to find templates that are a particular color, those that are a good fit for a particular industry, those that work for particular kinds of emails (such as an announcement), and much more. For an extra fee, you can also have Active Campaign’s designers create a custom template for you, complete with your business name, logo, and colors. Sign up form templates: No. However, they do have a drag and drop builder that’s easy to use – no coding experience required. Confirmation email sent regardless double opt-in or single opt-in: No. They’ll get a confirmation if you choose double opt-in, but there is no confirmation email if you choose single opt-in. Demographics, such as gender and age. Behavior, such as whether they’ve opened the last email you sent. Location, as determined by IP or custom fields. Custom fields, such as indicating a liking in a specific topic. Tags (see more info below). You can build your own, or use recipes (more on that in a moment). 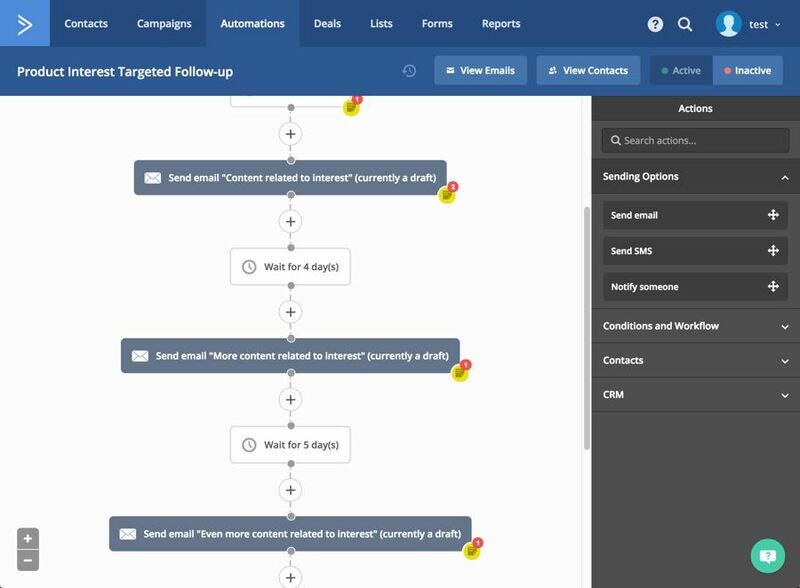 The Active Campaign autoresponder goes above and beyond most email service providers when it comes to automation rules. That’s because they also offer their customers automation workflow recipes. In other words, you don’t need to get overwhelmed trying to figure out how to piece together an automation rule that does what you want. Instead, just use one of the pre-configured “recipes” – AKA pre-built automations. Finding a recipe is easy. Just browse or search for these recipes based on your goal. For example, do you want to increase revenue? Then you might check out the customer follow-up recipe. Or do you want to increase traffic? 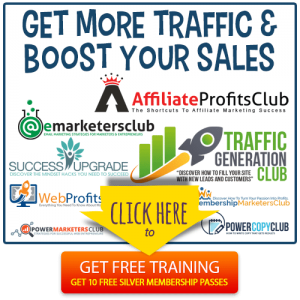 Then check out the increase referrals recipe. They currently have at least two dozen automation recipes already available, with more being added. If you don’t see the automation you want, you can also contact them to see if they’ll create a recipe for it. 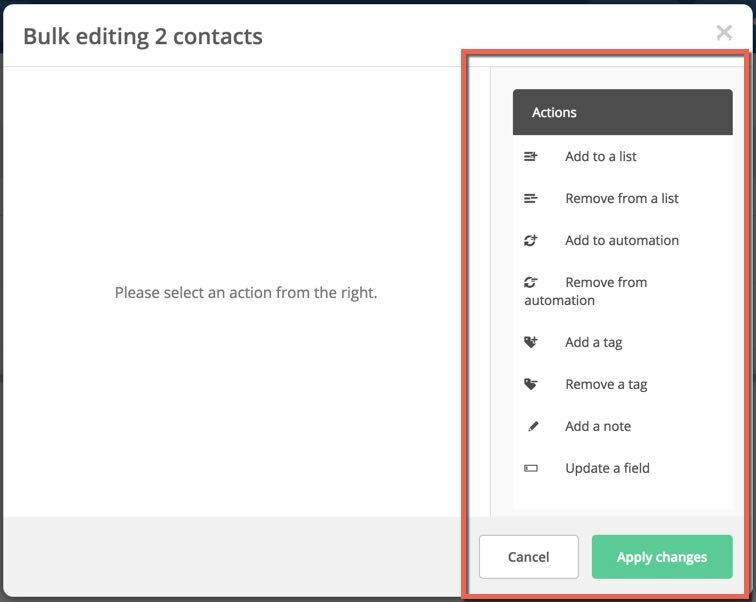 Or you can tag automatically as part of triggered event, or as part of an automation rule. For example, if a contact has ever visited a specific URL, you can tag them. Then you can email those tagged prospects a specific message. You can maximize the ROI of your campaigns by testing the subject line, the from name, the from address, and the email content. 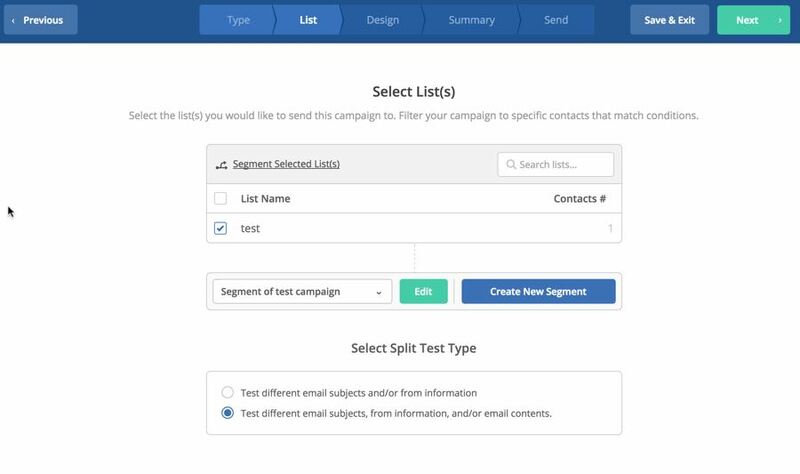 You can also set up an automation that sends the split test messages to a smaller portion of your list, and then sends the winning message to the rest of your list. 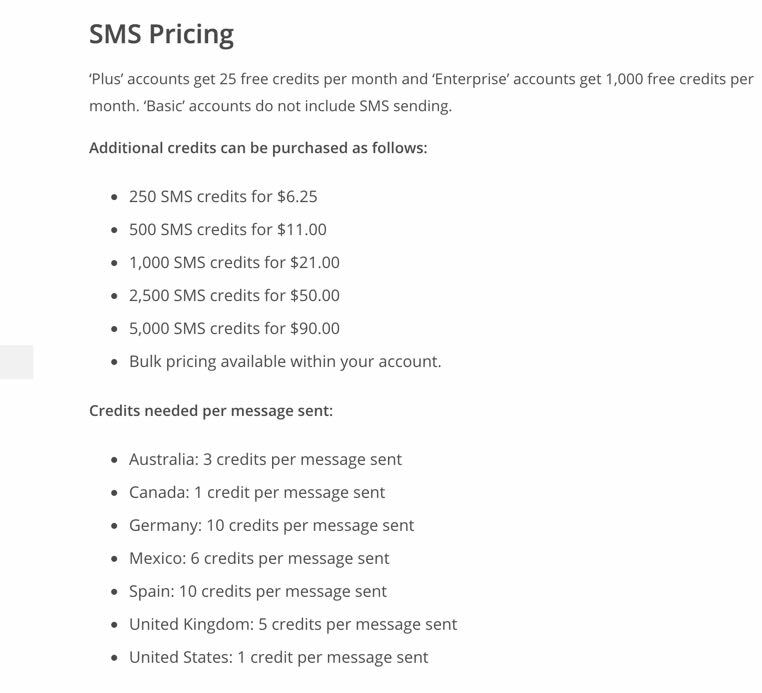 SMS/Text Messaging: Yes, but there is an extra charge if you’re using the basic plan. However, you do get a limited number of SMS credits when you sign up for the Small Business plan or the Enterprise plan. 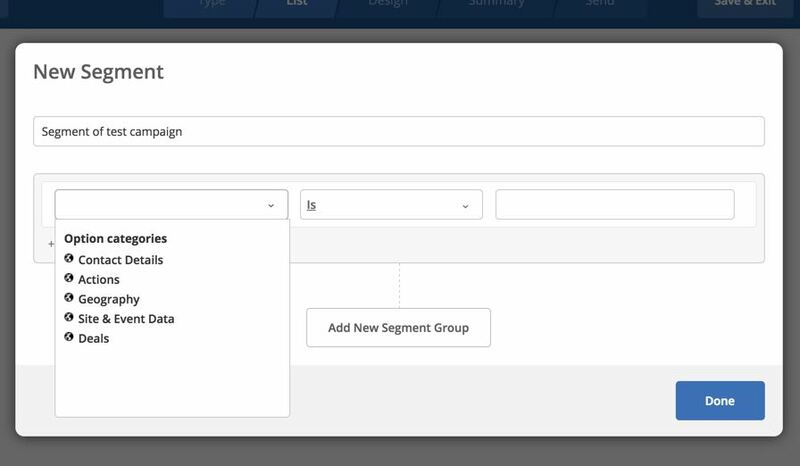 Visual Campaign Building Tools: Yes, there is a powerful visual automation builder tool. You can also use the Kanban tool to track the progress of a campaign. Lead Scoring: Yes, but it’s only available to those who choose the Small Business plan or the Enterprise plan. CRM: Yes, but it’s only available to those who choose the Small Business plan or the Enterprise plan. The CRM is built into these two plans, and you can integrate with SalesForce. 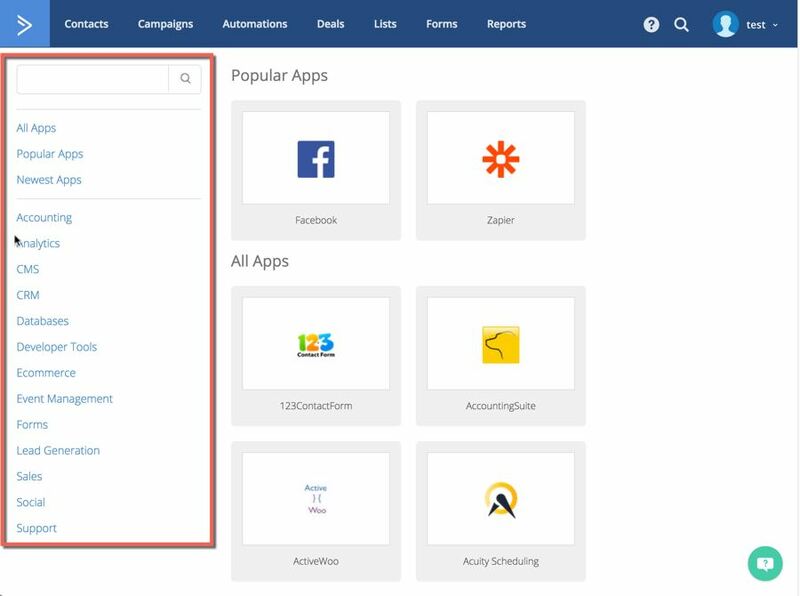 Active Campaign integrates with over 180 apps, including the most popular ones such as Zapier, Shopify, Facebook, WordPress, PayPal, Google Analytics and many more. You can search or browse for apps according to category. 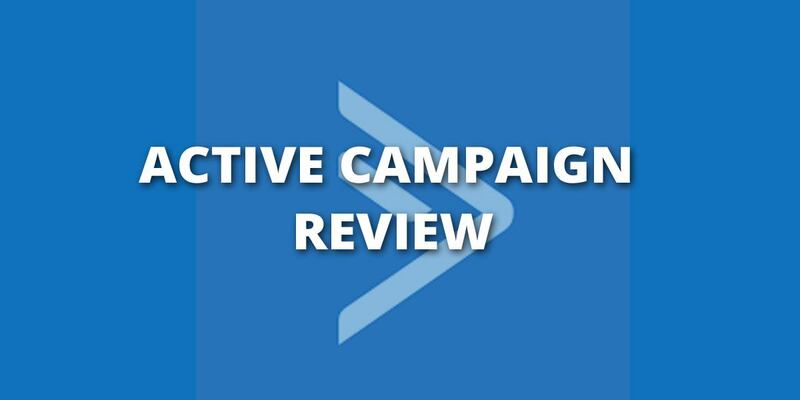 Since Active Campaign is feature-rich, there is a learning curve, especially when compared to the email service providers that offer more basic services. On the other hand, it’s easier to use than the big platforms like InfusionSoft. As you can see, the dashboard is clean, professional and fairly intuitive. If you get stuck, there’s plenty of help documentation on the site. 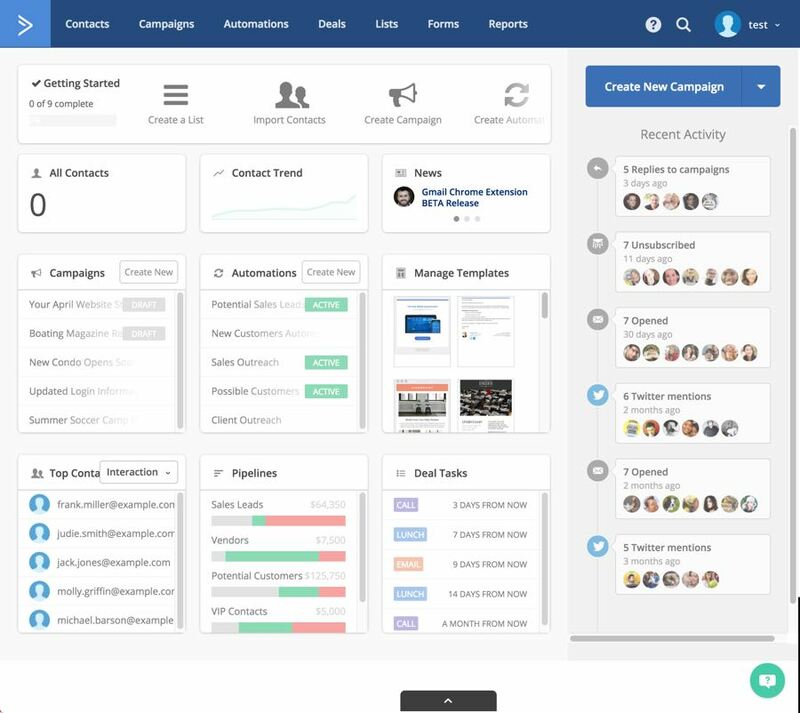 Active Campaign offers both live chats and help desk. You can get instant access through the live chat. If your question or problem isn’t urgent, you can get a response in a few hours by using the help desk. Active Campaign posts a deliverability rate in the 95th percentile as compared to other service providers in the industry. However, they do caution that certain factors can hinder deliverability, such as embedded HTML coding in your emails. 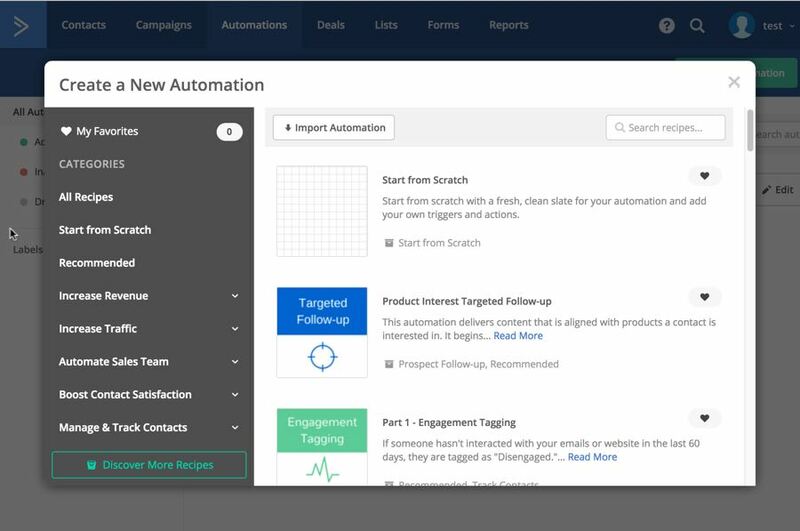 Active Campaign is geared towards small businesses and larger who need a feature-rich service to automate tasks and optimize ROI. This platform is super powerful, loaded with features, and it comes with a polished, modern interface. Automation templates (AKA “recipes”), and a marketplace where you can purchase automation recipes. 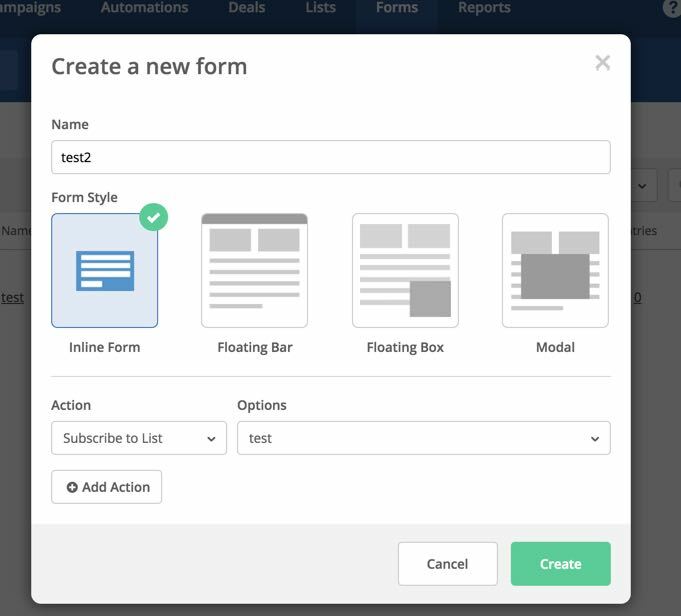 Built in CRM for those who choose the Small Business or Enterprise plans. Excellent price for plenty of features, especially when compared to big CRM solutions like InfusionSoft, Ontraport, and similar platforms. You’ll be hard-pressed to find cons with Active Campaign. Since it is a feature-rich platform, it might take you some time to learn how to use all the functions and features in the dashboard. As a last thought on this one…While we haven’t used Active Campaign ourselves we know close business partners who do and like it a lot. See how ActiveCampaign stacks up against other email automation services we’ve fully tested and reviewed in our “Top 5 Email Marketing Software Compared & Reviewed” blog post.